Learn and develop your interpersonal skills with our extensive guides. Our interpersonal skills series of eBooks are ideal for anybody who wants to improve their interpersonal skills and enjoy better relationships with others. Our Interpersonal Skills books are available separately or as a bundle. Every interpersonal relationship you have – work, personal, or otherwise – is built on your communication skills. If you want better relationships, you need to learn to communicate. Communication may be instinctive. However, despite what some people might think, good communication is a skill you have to study and practice. Without excellent communication skills you will continue to struggle to make others understand you, find it difficult to persuade people, and have little if any influence on what others think and feel. This guide is designed for anyone who feels they may be struggling to improve their communication skills. You’ll start your study of interpersonal communication with a solid grounding in the basics. You’ll then learn to refine your message in your own mind, and how to share that clear message with others. You’ll learn how to listen to others properly, and to sort out what they are really trying to say. If you are just getting started on communications, you may find it helpful to start with another book in the same series – our Interpersonal Skills Self-Assessment. This will help you take a long, honest look at your listening skills, your ability to communicate verbally, your ability to work in groups, and your ‘emotional intelligence’ AKA that level of communication many of us simply don’t get. The Interpersonal Skills Self-Assessment is free online, or can be ordered as a hard copy. Published by: Skills You Need Limited. March 2016. OK. You’ve established your basic communication skills, but the job’s not yet done. It’s time to take your communication to the next level with the advanced communication skills and techniques you’ll find in this eBook. Whether you feel confident in your basic communication abilities, or you’ve already benefitted from An Introduction to Communication Skills (the first book in this series), it is now time to work on your advanced communications skills. This eBook will help you explore techniques like questioning, reflecting, being assertive, being tactful, and most importantly choosing the right techniques and approaches to use in difficult circumstances. These are the tools that really good communicators use to build and manage relationships and to influence people positively. Again, you might consider starting at the very beginning, taking our Interpersonal Skills Self-Assessment before you dive right in to the advanced skills eBook. It will help you assess your communication abilities critically, and identify any basic issues you might need to address first. The Interpersonal Skills Self-Assessment is available free or can be ordered as an eBook. It is nominally part five of the Skills You Need Guide to Interpersonal Skills. Conflicts are a normal, natural part of everyday interactions. If you learn to resolve and manage these conflicts appropriately, positively and productively, you’ll be amazed at the change you’ll see in your life. Conflicts happen to everyone, every day. At work, at home, on the train… whenever two people meet who want different things there is the potential for conflict – but they don’t have to become ‘fights’. If handled correctly these potential conflicts can become examples of positive, productive communication. Every conflict has the potential for respectful compromise or a true win/win resolution. This is just as true in our personal lives as in our careers. The difference between a positive resolution and a bitter argument is often as simple as having the right communication skills at your disposal. In fact, managing and defusing conflict situations is the hallmark of an excellent communicator. The Skills You Need Guide to Conflict Resolution and Mediation gives you what you need to really understand conflicts – from the points of view of everyone involved – and to mediate between others or to resolve your own disputes. After all, the key to managing others is to first manage yourself. Having realistic expectations is only the first step in reaching a solution that everyone can live with. Have you ever noticed that some of the most intelligent people you know have the hardest times getting what they want from social situations? Meanwhile others can breeze through the most awkward situations smelling like roses? The difference is their ‘emotional intelligence’. Many people lack this ‘emotional intelligence’, and feel lost, confused, even frustrated with the illogical, seemingly senseless way others deal with personal interactions, conflicts and relationships. They despair at making any sense of the way others act, and dig themselves deeper into a communication hole. Needless to say, this is not a productive way to proceed. The ‘missing link’ in managing personal relationships well, to achieving what you want and deserve in life is this emotional intelligence. But it isn’t something ‘mystical’ or ‘intuitive’. It is a set of clearly defined social skills that may not come easily to some people, but work consistently once you learn how to use them. This eBook gives you these social tools, and shows you how to use them effectively. It makes clear the theory behind emotional intelligence, and details all the tools that people around you have been using since they learned to talk. It also has a section on practice, showing you how to build the different skills, how they interact and interlock, and how to use them to really make sense of what other people say, do and mean. Improving your communication skills can be impossible if you don’t have a clear understanding of your true strengths and weaknesses. Where do you need the most work? What areas are really solid, and where do you need to ‘start at the beginning’? This assessment was created to help you find out. It can be read online, printed out or bought as a convenient eBook. It is equally useful for individuals, communications tutors or teachers dealing with large groups. It gives you everything you need to assess your own communication strengths and weaknesses, or to help people to assess themselves. It is a part of a larger series, the Skills You Need Guide to Interpersonal Skills. It has been refined based on over three years of feedback from users, and may be one of the best places to start building your own interpersonal skills, or to start helping others to do the same for themselves. Buy the complete package of all 5 eBooks and save (compared to buying the titles separately). Your purchase includes the complete Skills You Need Guide to Interpersonal Skills series in a zip file. Buy the first two eBooks together and save. Your purchase includes the first two eBooks (Introduction and Advanced Communication Skills) in a zip file. 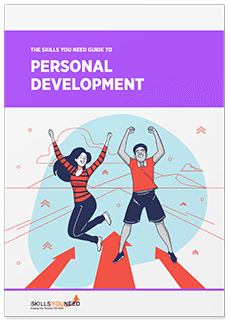 The Skills You Need Guide to Personal Development eBook is ideal for anyone who wants to improve their skills and learning potential, and it is full of easy-to-follow, practical information. Learn about the skills you need to succeed at school, college and university. Our three-part guide covers Study Skills, Writing a Dissertation or Thesis and Research Methods. Essential reading for students and teachers. Our eBooks will guide you from your first steps into leadership, through developing and becoming more confident in your leadership style, and learning to manage people and teams, to how to get things done. This essential guide is ideal for new and experienced leaders alike. This is an eBook that no potential job-seeker can afford to be without! 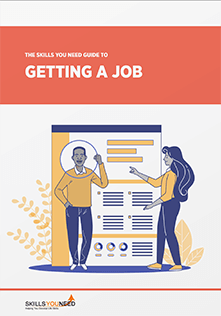 The Skills You Need Guide to Getting a Job takes you through the whole process of getting a job. It helps you to identify what you can offer to employers, before moving on to applying for jobs and attending interviews. It also shows you how to avoid putting off potential employers, by making sure that your digital profile is as suitable as your CV or résumé. Learn more about the nature of stress and how you can effectively cope with stress in your life. The Skills You Need Guide to Stress and Stress Management is based on our popular stress, stress management and relaxation techniques content. 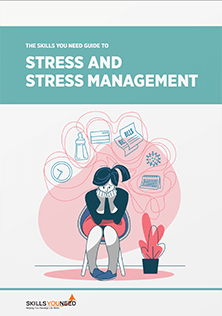 It covers all you need to know to help you through stressful periods in life: from understanding the nature of stress and identifying its triggers, through coping with stressful situations and learning how to relax. Forget everything you know (or have found out) about internet marketing tactics – we’re determined to be up front and honest with you. Most of the information in our eBooks is freely available on the website. We believe the information we publish should be freely available to everybody, and it is – just browse our pages. We do, however, understand that, for convenience, it may be easier to get an eBook (like it may be more convenient to eat in a restaurant than cook your own meal). The convenience of an eBook means that you can print it, search it, read it on your kindle, tablet, laptop, smart-phone or other gadget while sitting on the beach or at the top of a mountain far away from any Wi-Fi, 4G or other networks. The content in our eBooks is a little different from the website content. Our eBooks read more like a book (than a series of webpages) and there are no advertisements; they also contain some extra information. Our eBooks have been professionally designed and published and all have ISBN numbers. Our Interpersonal Skills eBooks are exceptional value for money. There is no special deal ending at midnight tonight, no special incentives because you’re the 1,000th person to read this and absolutely no chance of winning an iPad. Regardless of whether you decide to buy an eBook or not, we’re not going to send you emails every day reminding you to join our ‘club’ or buy more stuff. You can of course subscribe to our newsletter if you choose to do so. You pay with a credit or debit card or via PayPal, we send you an eBook, that’s it, simple! There are no hidden extras, no hassle and all taxes are included in our prices. We’re not in this to make lots of money. We’re not going to be calling the Mercedes Benz dealer or booking a six week holiday to the Seychelles because you bought one of our eBooks. All profits go back into SkillsYouNeed enabling us to create more quality content that you, and everybody else, will have free access to, simple! There is no ‘no quibble money back guarantee’ and you won’t need to remember to cancel anything after 30 days. If you decide to buy one of our eBooks then you have done so because you have found our online content useful and would like to have a more convenient version of it. If you haven’t found our content useful and can see no advantage of buying an eBook then don’t, simple! Interpersonal Skills | What is Communication?